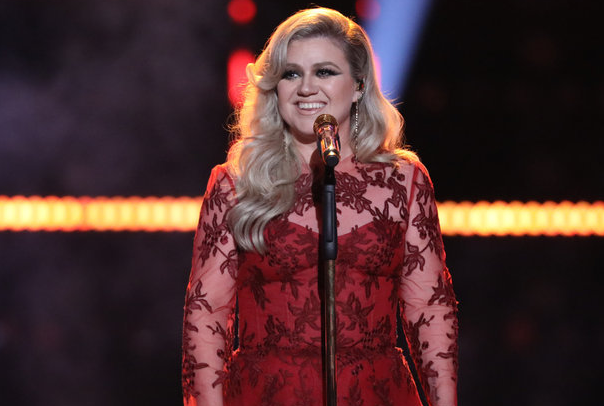 NBCUniversal Domestic TV Distribution has announced that The Kelly Clarkson Show has been sold to the NBC Owned Television Station group for its fall 2019 debut. The station group is part of NBCUniversal Owned Television Stations' division of NBCUniversal. The new one-hour talk show starring Clarkson, a multi-talented, Grammy Award-winning artist, will air as the lead-in to Ellen on the following NBC-owned television stations: WNBC New York, KNBC Los Angeles, WMAQ Chicago, WCAU Philadelphia, KXAS Dallas-Fort Worth, KNTV San Francisco, WRC Washington DC, WTVJ Miami, KNSD San Diego and WVIT Hartford. The new show will also air in Boston on NBC-owned station WBTS. The 11 NBC owned stations can be viewed in nearly 30% of U.S. households. "I love connecting with people, playing games, music and finding ways to help or give back to communities/organizations," Clarkson said. "Having my own talk show where I get to do all of these things is pretty much a dream job!" "We are very excited to have Kelly Clarkson on our air next fall," said Valari Staab, President, NBCUniversal Owned Television Stations. "She's genuine, warm, fun and interacts with her fans in a meaningful way. Throughout her career people of all ages and backgrounds have related to her openness, honesty and curiosity. She will be the perfect companion to ‘Ellen,’ providing an afternoon of great television." "The incomparable Kelly Clarkson takes everything she touches to another level and we couldn't be happier to bring her talent, humor, generosity and compassion to daytime next year," said Paul Telegdy, President, Alternative & Reality Group, NBC Entertainment. "With Kelly’s cross-generational appeal and extraordinary ability to understand and connect with viewers, The Kelly Clarkson Show will have something for everyone." In her new daytime talk show, Clarkson uses her gift of connection to bring viewers something new: a fun, energetic show that breaks with tradition. In each episode audiences will experience an hour full of remarkable stories, celebrity guests, spontaneous surprises, humor, heart and, of course, good music! It’s like a weekday brunch party with a fascinating guest list of people who would otherwise never meet. From Los Angeles, The Kelly Clarkson Show is produced and distributed by NBCUniversal Domestic Television Distribution. Kelly Clarkson and Brandon Blackstock are executive producers. The show will replace Steve (hosted by Steve Harvey) on NBCUniversal Owned Television Stations. Will this have any impact on Days of our Lives? The iconic NBC soap opera is only renewed through next summer. Stay tuned.